Rev. 21 20 He who testifies to these things says, “Surely I am coming soon.” Amen. Come, Lord Jesus! 21 The grace of the Lord Jesus be with all. Amen. John’s concluding words of the book of Revelation are a fairly typical early Christian farewell, “the grace of the Lord Jesus be with all.” These words sum up the last words the apostle John wanted the readers of Revelation to hear. They were to pray fervently for Jesus to come (v.20) and to live in the grace that only Jesus offers. It ends on a peaceful and hopeful note. But if this is the final word of Revelation, then why are so many people today scared to death of the book and its contents? Are they not hearing these final words? The answer, sadly, is “Yes.” Too many modern readers of the book of Revelation are only hearing in it what they want to hear and what they want to hear is the vindication of their deeply held beliefs about the fact that the world is dying at an ever-increasing rate. I don’t disagree with that belief, but is this belief more important to many today than the salvation of Jesus, about whom the book is actually written? Are we looking for clues to something we will never fully understand and robbing ourselves of the hope and peace that come from the central message of this book? Are many people today cheating themselves of a full and complete joy and hope in the Lamb of God who was slain by reading Revelation for data rather than for hope? What is the central message of Revelation? Too many will answer that it is about the end times, or the classic battle between good and evil. These are definitely themes and topics in the book, but these themes are in service to the first verse of the book, which tells us exactly what the book is all about. It’s “the revelation of Jesus Christ.” He is the revealer. He is the revealed. It’s about Him. All the other stuff needs to be understood in service to that one simple truth. Which means that the first readers of Revelation took a ton of hope out of it for their situation in Asia Minor in the late first century A.D. It wasn’t a hope that was waiting for a later date. It was a hope for them at that time. It was already being fulfilled. Christ’s kingdom is where Christ’s people are gathered around His Word and it’s not a kingdom of power. The seven churches for which the vision of Revelation was given were the kingdom of God on earth. Their weakness to the world’s power was still God’s power at work in them (2 Cor. 12:9) and the weakest of these congregations were given the greatest commendations by Jesus in Rev. 2-3 (Philadelphia and Sardis). Jesus isn’t about worldly power and kingdom, as some of the mistaken notions about this book suggest. His kingdom isn’t built on worldly rule at all. We look forward to the new heavens and new earth where the Lamb will reign, not the worldly king, or emperor, or judge. The Lamb. The Church today looks weak and it is struggling. Revelation is for us as much as it was for those beaten and battered churches in Asia Minor 1900+ years ago. The grace of the Lord is with us! Jesus is coming again soon! Deliverance is coming. We know it because the victory has already been won. And while we have life and breath, while we have forgiveness and eternal life already now, while we have Christ in His Word and Sacraments…we always have hope. Amen! Come, Lord Jesus! The grace of the Lord Jesus be with YOU always! His eyes reddened as he continued the story. Joe (name changed) was 87 years old as I, his newly minted from Seminary-pastor, was paying an every member visit on him. Me, 26. Him, 87. As we were talking I was quickly coming to the conclusion that I had nothing to teach him about life and that he had everything to teach me. In the first three years of WWII, Joe served in the Aleutian Islands. Staring at the Japanese (only 30 miles away) across the water and bored out of their skulls, the joke among the GIs was that “there was a girl behind every tree.” (The Aleutian Islands have no trees). Of course, D-Day changed all this. It changed a lot of things. Joe was redeployed; this time in the European theater. He commanded a platoon. He and his men crossed a river where the bridge was under heavy fire. They had to go through the water. He was one of only four men in his platoon who came through the water alive. No more jokes about girls behind trees. What was behind him was a bloody mess…and he never forgot it. Hence the tears. Isn’t it amazing what men will do for their country? 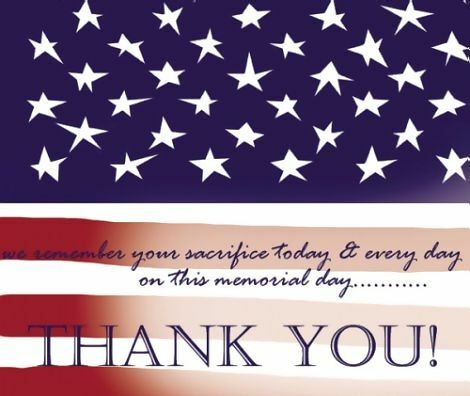 Can we ever say enough thanks to them and for them and their sacrifices? Many years later Joe and his brother, a communications officer in the Army Air Guard in WWII, bought an old warehouse to collect donations for a Synod mission. These donations, clothing and everyday items, would be sent overseas to where our missionaries are for the people they are privileged to serve. Whenever the warehouse was full, volunteers (myself included) would show up for what was nothing short of a “loading party.” We worked hard…and ALWAYS joyfully. Occasionally, I would pick Joe up in my car and take him to the warehouse. He would literally perch himself on a stool with his cane between his legs and an ear-to-ear grin as he watched us strapping young men whip boxes around like they were full of feathers and would see how fast we could load an entire container. We called him “the supervisor.” He would laugh and laugh. And I caught myself as his smile slipped and his eyes again started to moisten. Thinking I had stuck my foot very deeply in my mouth, what came next was truly not to my own credit. “I would always be happy to be in your platoon.” And I reached down and gave him a hug…and then a salute. Indeed, I would die in that platoon if it was necessary. Joe is with His Lord now, a warrior wounded by the full assault of the devil, now awaiting resurrection with his fallen comrades. I think it’s safe to say that this old man, when he probably most wanted to die, truly learned how to live. The world doesn’t need Christians who are eager to die and get out of here. It needs Christians who are ready to live. Isn’t it amazing what one soldier did for his country? That’s only slightly less amazing than what it led him to do for His Lord. God be praised for our men in uniform, past and present, and what they teach us about service. Join us this Sunday in thanking our God and giving thanks to Him for these men. Many who read the Book of Revelation for the specific dates and times have a very poor grasp on history. (I wish I could say that conclusion was original. It’s been said so many times that people don’t hear it anymore). In fact, one excellent writer has concluded that this view of history’s impact on the present is “escapist,” because the basic assumption is that the signs of Christ’s Second Coming happen so much more frequently than they did in the past and they want to be delivered from it NOW…or at least on the date and time they seem to have calculated from the numbers of Daniel and Revelation. (Michael Gorman, Reading Revelation Responsibly–RECOMMENDED). Of course, the notion that things are so much worse now is an assumption and it lacks any real basis in historical fact. Worse yet, it seems to miss the entire point of what the Bible says about this world since the Fall into sin. I don’t see it doing any good for those who hold these assumptions. Those who stare too deeply into the sun called Revelation always have a telling look of worry on their faces. Escaping all this, it seems to me, seems like a denial of the very life God gave us to live. Do you want to be ready for death and resurrection? Then live joyfully in the daily resurrection of your Baptism today! Why worry? Maybe Billy Joel got it best when he sang, “The good old days weren’t always good and tomorrow ain’t as bad as it seems.” (He’s no historian, but most academic historians know just how true that statement is). I have talked to many people who lament the end of the “good old days.” Problem is, there were no golden ages in history, which is an idea that is betrayed every time someone mentions “the good old days.” All ages bear the mark of sin and so many of the signs of Christ’s Second Coming have always afflicted the world. They weren’t less frequent in prior ages and, in many ways, some of those ages had it much worse than we do today. (Imagine, if you will, living at the outset of the Black Plague and your neighbors are dropping like flies all around you. To many, it looked like a rapture of sorts. But it turned out not to be. Still, I think I’m glad to live in the 21st century rather than the 14th. Lord, have mercy). If you want to read Revelation for specific dates and times and signs, then know that well-meaning Christians have been doing so for 2000 years and none of them have been right yet. I’m not rejoicing in that fact or making light of it. I have said many times from the pulpit that I believe I will see the resurrection before I die. That’s an article of my faith. Still, all these things belong under the simple petitions of the Lord’s Prayer: “Thy kingdom come. Thy will be done on earth as it is in heaven.” Far be it from me to tell you just when I think it will happen, or to guess at who the Antichrist really is. In other words, if I am right or wrong on this matters not in the least as long as God’s Will is done. Jesus Himself said: But concerning that day and hour no one knows, not even the angels of heaven, nor the Son, but the Father only. (Matt. 24:36) Jesus looks for His return with the rest of us, but nowhere does He seem to be worried about it. Eager? YES. Worried? NO! (A thousand times, NO)! So why worry? When our historical method is poor, we look at the present without context. We don’t learn the lessons history has to teach us. Our vision becomes blurry as romantic notions about the past cause us to yearn for its return and want to escape from what’s going on right now. The world doesn’t need Christians who are more willing to die than to live, (unless that dying is the daily dying to sin of our Baptisms). But none of this, it seems to me, is what Revelation is all about. One simple question to refocus us: What is it in specific we Christians are supposed to be looking for? Dates? Times? Signs? Wonders? Disasters? Political Conspiracies? Back in the 1980s, the sign to look for was nuclear armageddon brought on by the Soviet Union. Now it’s something else (Islam, Obama, insert favorite whipping boy here). Or maybe we were supposed to be looking for Christ all along? Could it all be that simple? Looking through the signs to the Christ who is coming? He is the Alpha and Omega and He came into the world because of the tribulation brought on by sin. We look for Christ. He gives us hope and joy as we wait for His return. Staring too long into the sun of other data which only distracts can damage the eyes. Jesus gave the Revelation to focus 1st century congregations under persecution on Him and His salvation, His resurrection. He is the revealer…and He is the revealed. It’s all about Him. And He’s got your back! It is finished! Not partially, not almost. Done. Finished. Accomplished. Remember? People were rising from the graves that very day! Who says the kingdom hasn’t already broken through? A Church built on Christ is a Church standing on resurrection is a Church which always has HOPE! So again I ask, Why worry? Blessings…and no worries. You’ve got so much to live for, enjoy, and hope for. 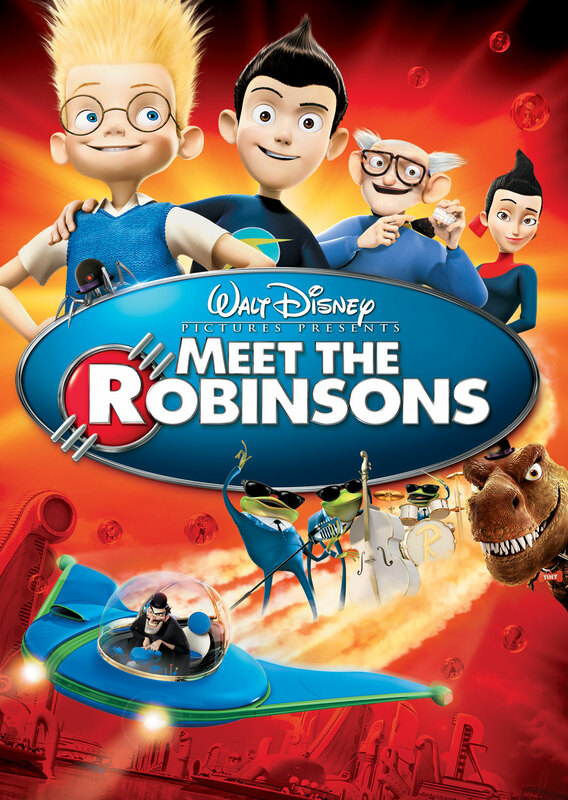 Last Friday night, our family “pizza and movie”-night featured a recent favorite of mine: “Meet The Robinsons.” The story is about a brilliant young boy who was been dropped off at an orphanage as an infant. His scientific genius makes him a turnoff to prospective parents and he gets turned down for adoption. As the movie turns out, he discovers his family through time travel to the future with his son. In one particular scene in the future, he attempts to fix a gun which slathers jelly and peanut butter simultaneously onto bread. The whole thing blows up and everyone is covered in peanut butter and jelly. Frustrated, Cornelius (the boy) counts himself a failure until the family gives him a rousing applause on his colossal failure. They are being sincere. They are not running him down. The family motto is “keep moving forward,” but the family teaches him that mistakes and failures are the best way to learn and grow and keep one another human and keep moving forward. The movie does a great job of teaching us that learning to deal with mistakes, (our own and others), is one of the high marks of human dignity. How come the world of computer animated movies teaches this so much better than we do in the Church? I mean, if the Church cannot handle these things well (lovingly and faithfully), what hope is there for mankind? Embarrassment over mistakes or errors has to be, in my opinion, one of the more significant causes of people leaving their Christian congregations. It pains me to watch it every time I see it. Somebody makes a mistake…or loses their cool…or fails at a task…or finds out they were wrong…and even if the congregation and the pastor show real grace in these circumstances, the person will leave the congregation or go into hiding or engage in a mock display of anger which blames everyone else. I’ve seen it happen many times over my 17 years in the ministry. I have lamented it every single time. Sometimes with tears. I don’t think I ever really appreciated this point until we started homeschooling our children. No child is perfect and they don’t get good at anything they do without mistakes and errors along the way. Now, when that happens, his teachers (Jennifer and I) have two options. We can either be punishing or we can lovingly correct the error and let the learning from it sink in. The latter response definitely helps the child avoid embarrassment and learn the lessons needed to avoid making the mistake in the future. 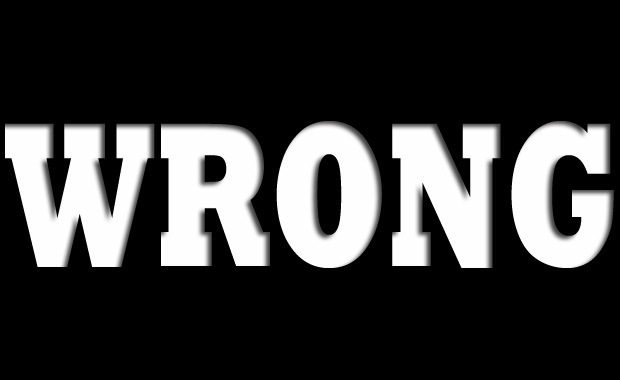 Sadly, when adulthood happens we must mistakenly tell ourselves that errors are not supposed to happen anymore. Many adults, especially when they are knowingly in the wrong, tend to punish themselves to the extent that they think forgiveness and restoration is impossible or, worse yet, undesirable. Instead of falling back on the grace of God and other people in our lives, we decide either to go into hiding or insist we were right all along, even though the evidence simply doesn’t support us. Worse yet, sometimes the poor response is exacerbated by a gracious response from someone else. (Sometimes people don’t like it when you are able to forgive and/or accept the matter so easily). I must admit. I don’t get it. I don’t get why people are so capable of choosing their own misery. I don’t get why people wallow in their embarrassment. I don’t get why people will often turn down the kindness of others when they are embarrassed. (Actually, I do get it, even if I find it totally unnecessary). For me as a pastor, I am thankful for everything people do around the church. I understand that they live busy lives and that their contributions around the church can indeed happen at the expense of other important aspects of their lives, like family for instance. As one who is thankful under such circumstances, let me say something very directly. I also know that mistakes will happen AND I will make mistakes as well. Perhaps these mistakes are sins, perhaps not. (A mistake is not necessarily a sin by definition). Regardless, I think time spent dwelling on someone’s mistakes in life or at church is wasted time. Maybe I’m a strange person, but I have often found myself respecting the person who disagreed with me or who was mature enough to own up to a mistake. In Pastor Torkelson’s “ideal congregation,” there is room for these things to happen. They are great opportunities for learning. They are also great opportunities for God’s people to learn to handle these matters with grace and love. When it doesn’t happen, it’s often because we choose our own misery. In short, I have seen no good reason over 17 years for anyone I ever served to feel embarrassed about anything. I don’t want that for you and neither does your God, whose forgiveness covers it all for you in Christ. God’s grace in the forgiveness of sins means, however, that I need not live in continued embarrassment or guilt over it. Lesson learned. Keep Moving Forward. There’s resurrection ahead! As we travel, know one thing: You can be human with me. I pray I can be the same with you. One of the sermons I got to hear at the Doxology Spotlight Conference in Waukesha last week mentioned that the work of pastors in the 21st century is “not for sissies.” It caused me to remember a conversation with a now sainted Veteran of the Cross who told me once that he admired the young pastors today and that he couldn’t be a pastor these days. “We had it easier when I was a pastor.” I have no way of measuring the truth of what he said, but he obviously had his reasons for saying what he said. I, like most of my peers, try not to complain about the challenge of ministry in this day and age. I see most of the challenge being about a fairly simple truth. I can summarize it in three simple statements which I challenge anyone to contradict. 1. The world is changing at an increasingly rapid rate. Some would say at blinding speed. 2. The Church’s challenge (hence the pastor’s challenge) is to preach an unchanging Word (Christ) to this rapidly changing world. 3. This challenge is extraordinarily difficult–not just for pastors–but for all Christians in general. With the growing threat of low-level persecution of the Church and religious freedom in America today, with America becoming increasingly pagan every year, and with Christians reflecting these changes by jumping from church to church over factors which range from vain to the modestly sincere, it is by no means an easy time to be the Church. Hence, this work to which I am called is not for sissies. It takes a spine. It takes the capacity to let water flow off the duck’s back. It takes a “love for the loveless.” In the end, it takes Christ, abused, scorned, flogged, tortured, crucified, and risen again. He bore the greatest cross of all. His resurrection and promises to His disciples put our crosses in perspective. After the Doxology conference, I went to the District Pastors Conference and had many conversations, too many, with pastors who are feeling the hurt from these same challenges. I’m glad they felt we could talk about it and am humbled that some shared those things with me. I was raised, I see now, in a household that taught me to honor the pastor. Indeed, there are times, 17 years into this endeavor, when I still can’t believe that I am part of this work. I count my peers as real brothers, (and often better brothers than I deserve), even though I had no brother in my own home as a child. I pray for them and I hope they pray for me. God grant us all, pastors and Christians, the strength to carry on in this challenging world in these challenging times. Jesus Christ is the same yesterday, today, and forever. Heb. 13:8. I attended a Doxology Spotlight Conference on May 1 and 2 on Death and Resurrection. It was a great time sitting at the feet of my seminary professor, Dr. Jeff Gibbs, and a new favorite of mine, Dr. Greg Schultz, of Concordia Wisconsin. It was also a topic which reveals how far afield many, even Christians, have gone from the Scriptures. We shouldn’t assume that the Bible teaches less than what we currently think. My feeling is that it teaches so much more than we currently think or maybe even want to think about it. The main thing to note is that the Bible says much much more about the resurrection of the Body on the Last Day than it does about heaven, or the basic teaching about “dying and going to heaven.” And in the three texts from the New Testament which most definitely refer to the soul’s life after the body’s death, the term “heaven” isn’t used. Here are our cases in point: Luke 16:19-31 (The Parable Of The Rich Man And Lazarus) has Lazarus dying and being gathered by the angels to “Abraham’s bosom.” Luke 23:43 has Jesus telling the thief on the cross that today he will be “with [Jesus] in Paradise.” Phil. 1:26 has Paul writing that he longs to “depart and be with Christ.” Common to the last two examples is a different definition of what happens to the soul after death. It is “with Christ.” The question is, where is that? I can think of many other verses which have been used to refer to heaven. Problem is most of those do not work if they are applied exclusively to heaven. In other words, there may be other ways to understand those verses. The three above are the most inarguable examples. Some questions for you, the reader. These questions will definitely help me frame how I will be teaching the Bible truths on the matter. If you are a member of St. John’s, please always feel free to respond to me directly. I would be happy to hear your answers to these. I’m not interested at present in right/wrong. I just want to know what people are thinking. Have you been more concerned about “dying and going to heaven” than the resurrection on the Last Day? When you or others talk about heaven does it include talk about being with Christ? Or is heaven a Christless thing in many conversations? Do you think of heaven in terms of time and space, a place far away, eternal? Do you think of the soul’s time with Christ as temporary until the resurrection of the dead, or do you think of it as eternal? Does the thought of a reunion of body and soul at the resurrection bend your mind too far? Does the thought of getting a body back disappoint you, even if it is raised imperishable? 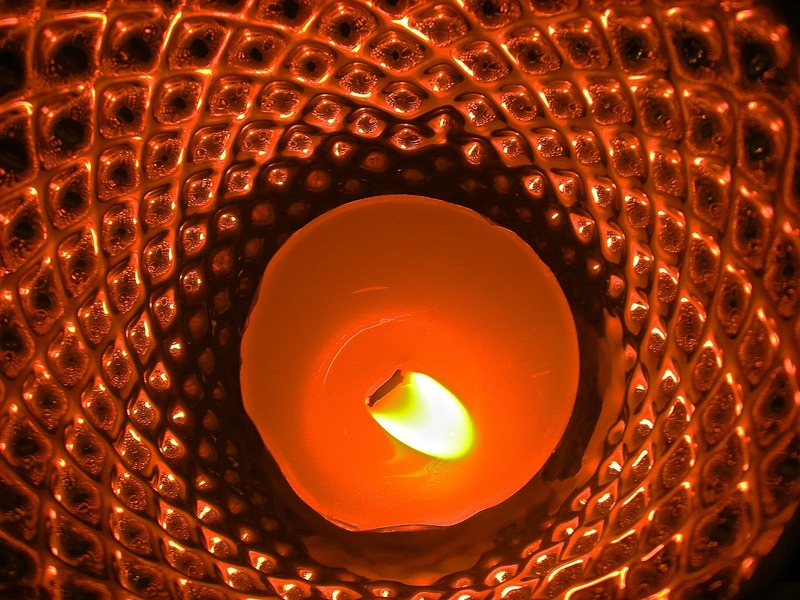 Is death “the final enemy” to you or is it something less fearful? Again, I repeat, I’m not interested in right or wrong answers at this point. I’m more or less trying to measure to what extent our thinking about death and resurrection reflects the Bible or popular sentiment. The challenge of the Church in every age is to proclaim Christ without all the worldly assumptions. I think the Bible would tell her that she’s on to something there. It’s not that there isn’t a heaven. I just don’t think it’s the place many people today think it is. 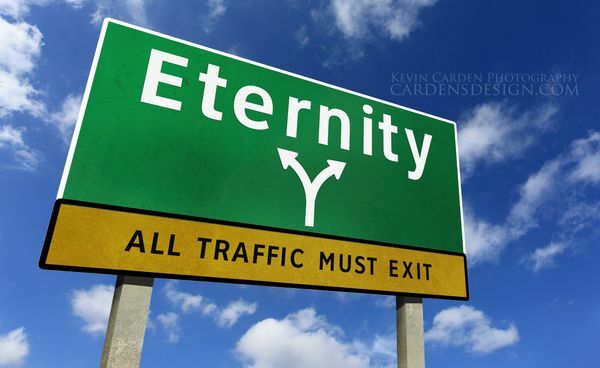 Is heaven a “place?” Or is it a person, The God-Man Jesus Christ?